A great club with an excellent atmosphere. 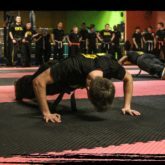 The instructors are first class and there’s lots of friendly members waited to train alongside you too. 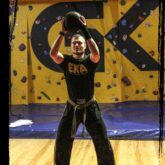 If you’re looking to get fit; if you have an interest in martial arts, or simply want to learn something new then I’d highly recommend checking EKA out. I've been attending classes for just over a year now and I'm very happy with my fitness progression thanks to EKA. 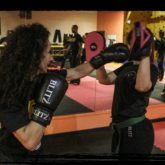 The instructors are highly skilled, knowledgeable professionals who have made me feel completely at ease from my first session. 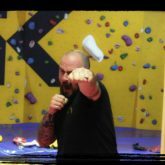 Having wanted to join a martial arts club for many years I've always felt as though the experience may be a little too daunting...however, you are in very safe hands at Elemental. 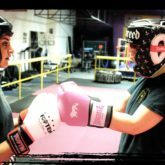 If you're looking to get fit, make new friends and potentially work your way through the Kick-boxing grading scheme then I definitely recommend training with this club. Currently training for Junior purple belt and it's a fantastic feeling. Thanks all. Before I found these guys I was overweight, unfit and lacked confidence so I was apprehensive to say the least. I've found the atmosphere welcoming, and everyone is supportive and friendly. Now I'm hooked! And it is one hell of a workout. Hands down beats any gym I've ever been to (and there have been lots)!! 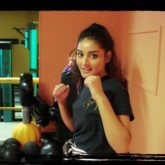 As the third kickboxing club I have been part of, Elemental Kickboxing Leeds has the best atmosphere, best instructor, best kit, and has progressed my fitness and skills the most! 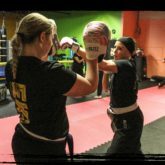 The training sessions are varied, and seem to include members of all levels. 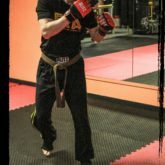 There is also the chance to see yourself improve by getting belts and feedback. If you like a challenge, it’s definitely worth a try!